Molly Ringwald eat your heart out, Pretty in Pink can be your signature color too! Assorted sizes and mismatched styles. All pretty in pink. 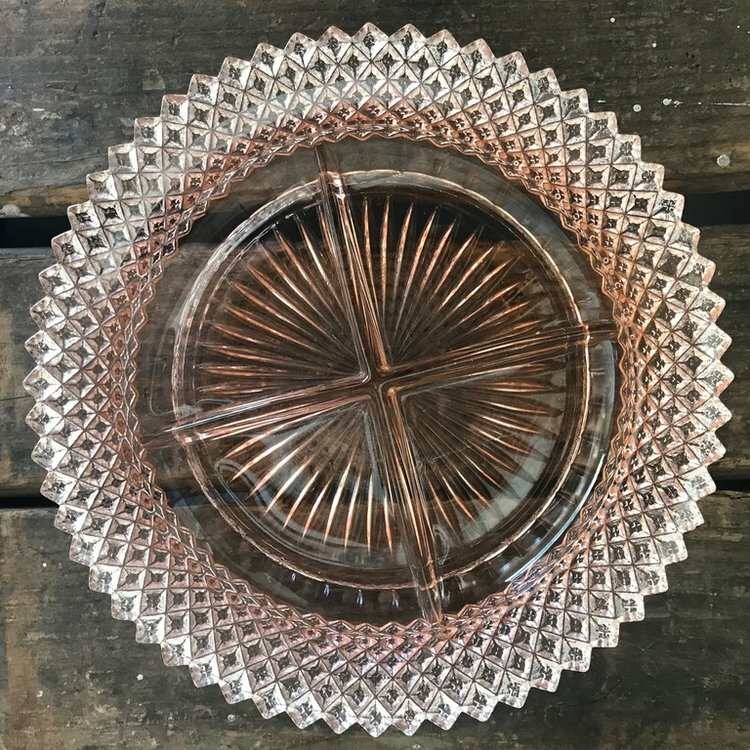 Pink Glass Serving Plate with Handles. 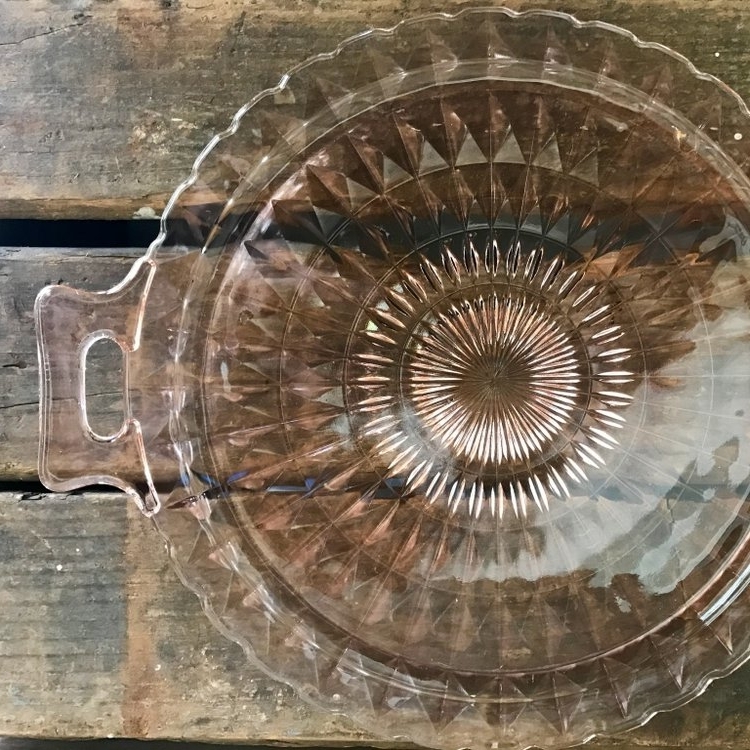 12" round cut glass plate with two handles. 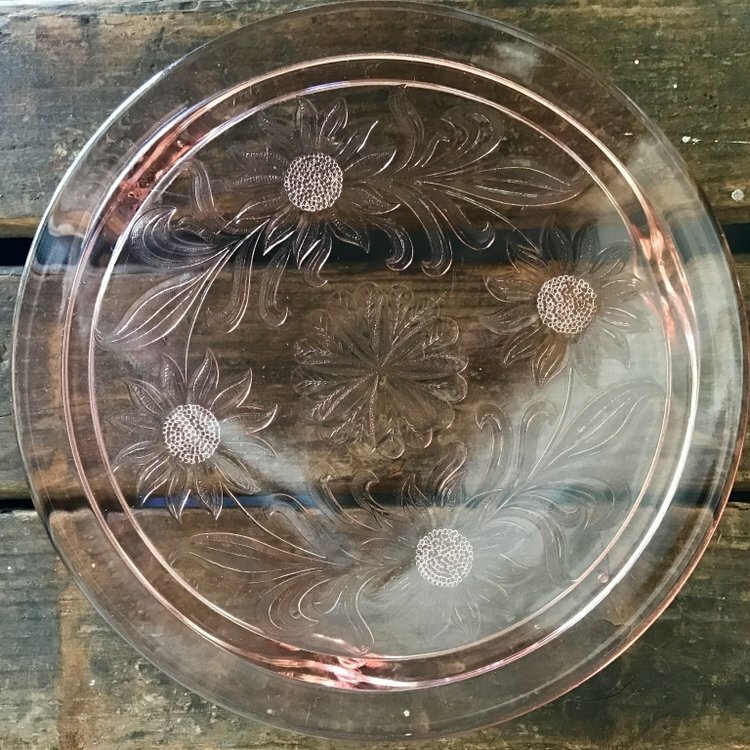 6" oval divided plate with etched glass design. 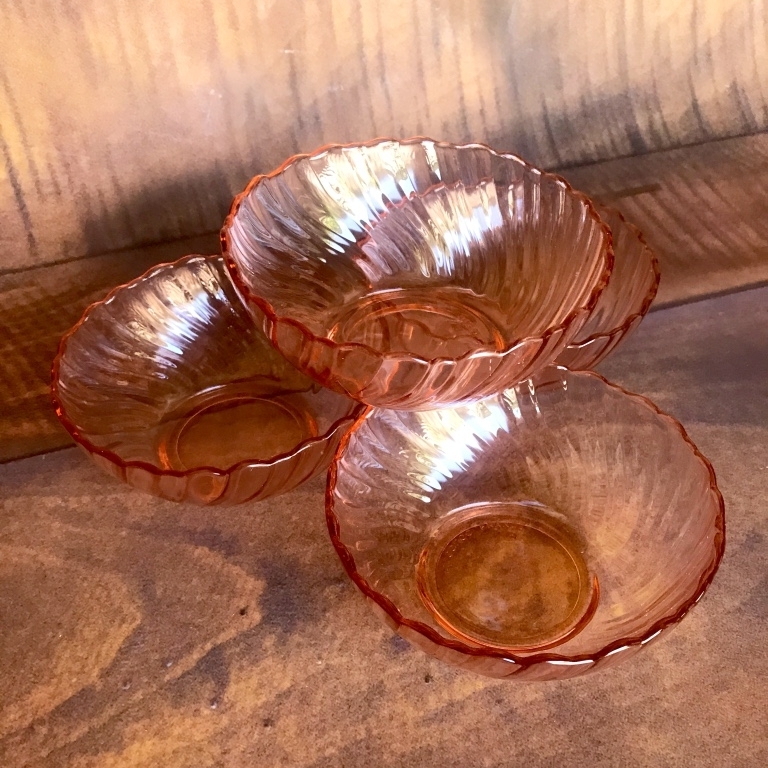 Silver Rimmed Pink Glass Bowl. 8" round in diameter. Divided bowl. 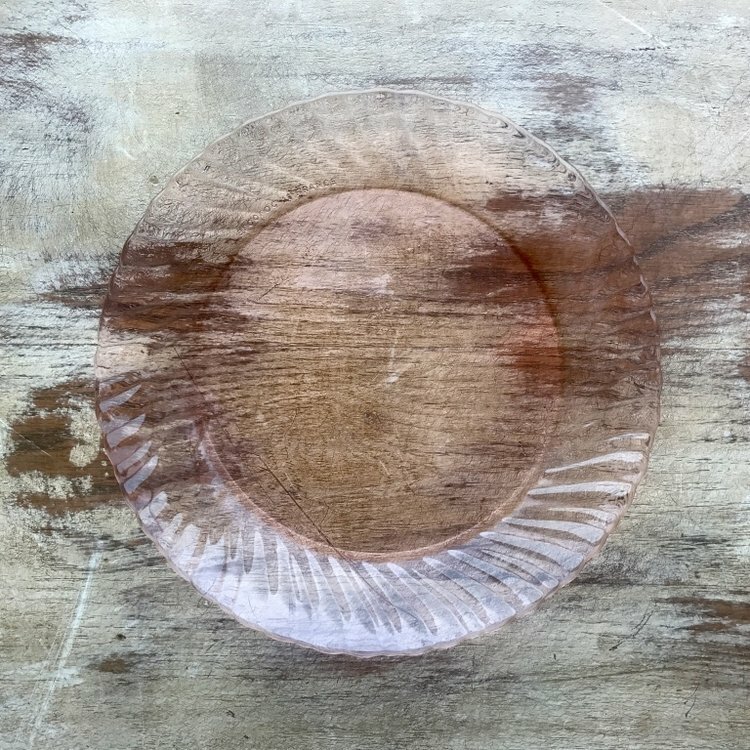 8" round cut glass with small handles. 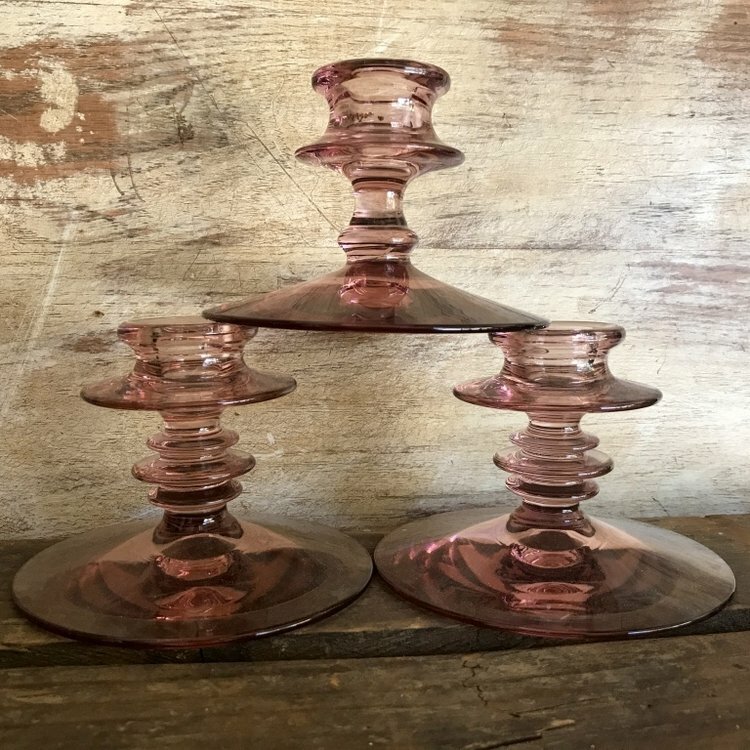 3" Depression glass pink candlesticks. Price is for each. 12" round in diameter with etched daisies on it. 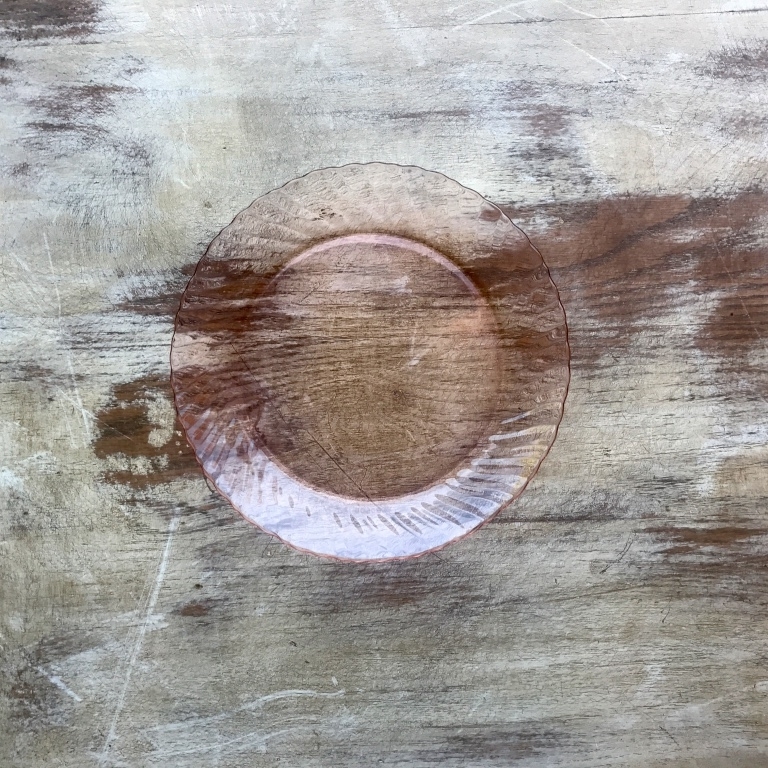 6" round cut glass divided plate. 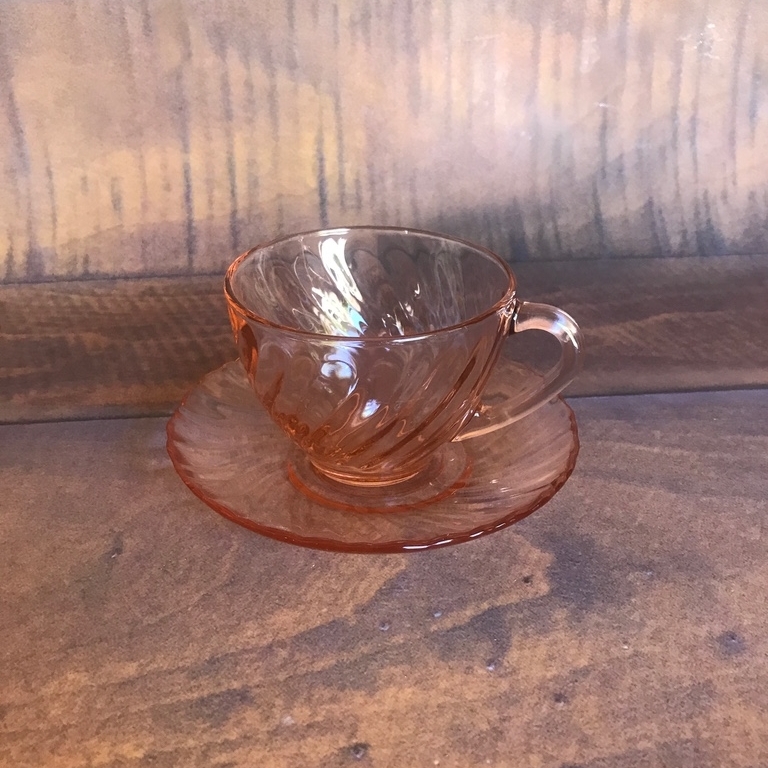 Pink Swirl pattern cup and saucer. 4" bowl with swirled pattern. Great for soup or salad.